What is Fiber Cement Siding or James Hardie board? Fiber-cement siding is composed of sand, cement and cellulose fiber. Cellulose fiber is added to prevent cracking and to add reinforcement to the board. 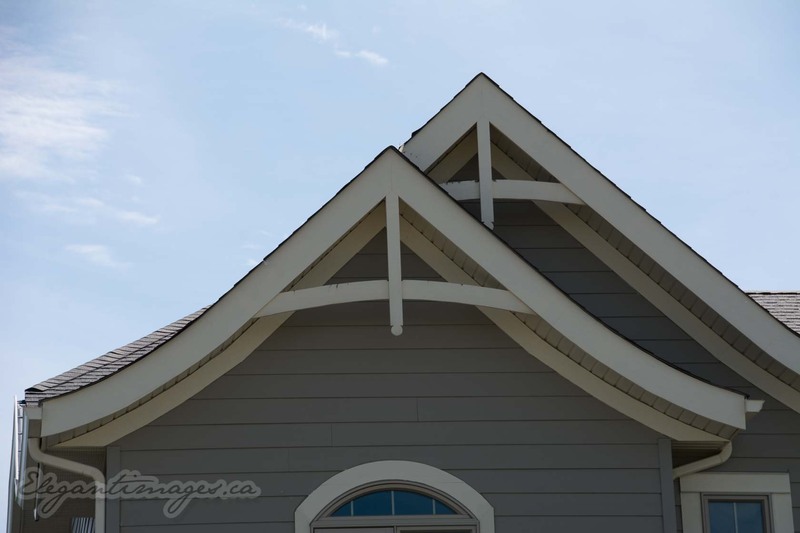 If you want the look of real wood siding, but without the hassles and costs associated with it, fiber-cement siding may be a great alternative. You can achieve the characteristics of wood siding or cedar shingles without the added cost of maintenance. Fiber cement siding holds up against the effects of big temperature swings in cold weather climates like Alberta. Unlike vinyl siding, fiber cement does not become brittle in the cold. Fiber cement siding can even be installed to withstand hurricane-force winds! This is something we know about in Southern Alberta. Here in Alberta we know a little bit about rain and hail. Fiber cement is alot thicker than regular siding so with those hail storms we so often get, your home will be protected from the damaging impact that hail can cause. James Hardie siding is the most popular brand and our brand of choice. James Hardie offers a 30 year limited warranty. Here is the Warranty pdf. Contact us today to arrange for your free no obligation Quote.